Does anyone remember a couple months back, when I was talking about doing commissions in return for people sending me their used video games? WELL, NOW IS THAT TIME. Like my art? Want to pay me to DRAW you some art? Very cool; here's some price ranges. Right now, I'm roughly basing these prices off of a $15 per hour scale. I'll be constantly updating these prices based on how much it takes me on average to draw certain things and demand. If you want something that doesn't quite fit with the things shown below, just talk to me about it- I'm sure we can figure out a fair price! ALRIGHTY GUYS, I'm not taking any more icon requests. Those on the list will still be finished, but new requests will be turned down. [s]Why hullo there, lovely people of Route 50! How you doin' today? Good, good. 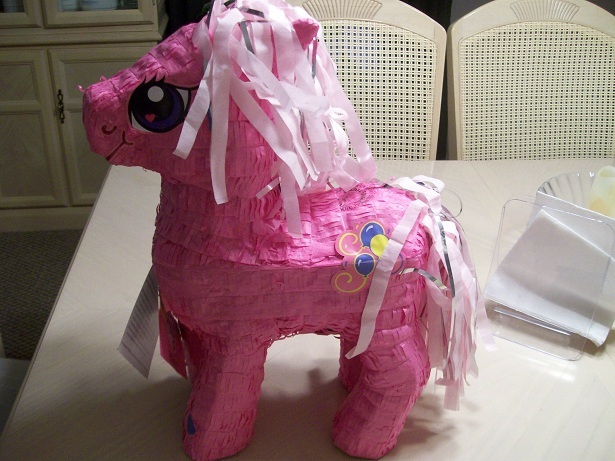 Today, I bought an MLP piñata. I never thought the day would come when I would do such a thing, but.. well, here we are. Now, now, I'm not really an MLP fan. You see, dear friends, there was a PURPOSE for this purchase. My friend simply adores zebras, and so I decided to get her a zebra piñata for her birthday. Sadly, no store in my area stocks zebra piñatas for some absurd reason. And so, I had to get creative. Yo, denizens of Rt50. Sup? SkyWarriorcoord and I are planning a Project Fear contest, which is probably gonna start up a little closer to summer. The thing is, we could really use some people who're willing to draw prizes for the winners of said contest. I'll probably be pitching in on some of the prize drawings as well, but volunteers would really help me out here.